Remington is one of the most prominent weapon developers and ammunition manufacturers in the United States and has over two centuries of expertise to their name. 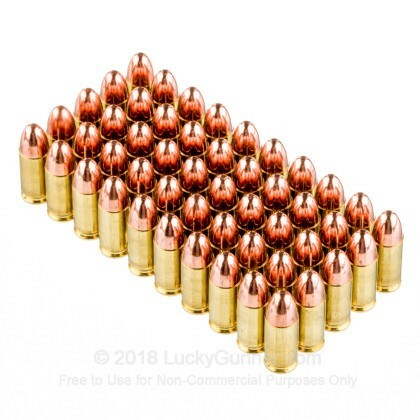 These 9mm Luger rounds are sourced from one of Remington's over-supplied contracts that were originally intended to serve military and law enforcement activities. 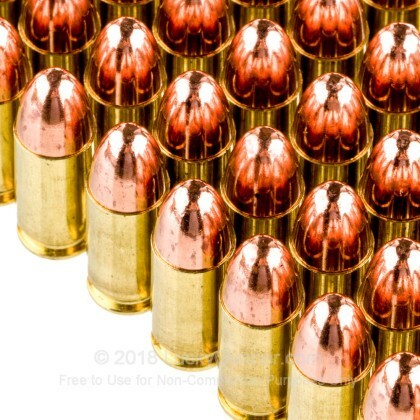 As such, these cartridges are made with top-quality materials and offer shooters an opportunity to collect vital training ammunition at an inexpensive price. Components include reloadable brass casings filled with clean-burning propellant and fitted with non-caustic Boxer primers that won't leave behind corrosive elements in barrels and actions. The assembly is completed with a 115-grain full metal jacket (FMJ) which is both light and common for the 9x19mm caliber. 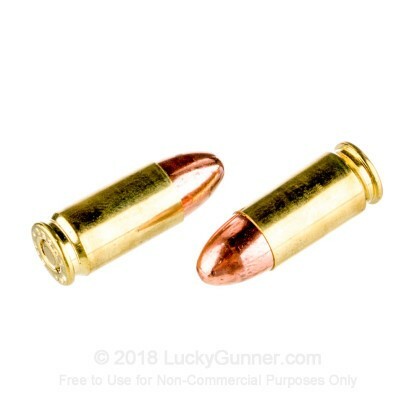 This round nose FMJ bullet feeds cleanly in all types of firearms and produces minimal perceived recoil alongside a flat trajectory of travel. Novice and expert shooters alike will enjoy this performance for a consistent point-of-aim out to typical distances. Remington's ammunition is manufactured in Arkansas using the latest in production technology, the most stringent inspection processes, and unmatched American engineering practices. 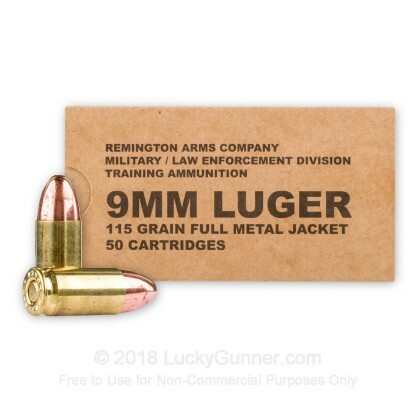 We don't have any reviews yet for this particular 9mm Luger (9x19) ammo from Remington. 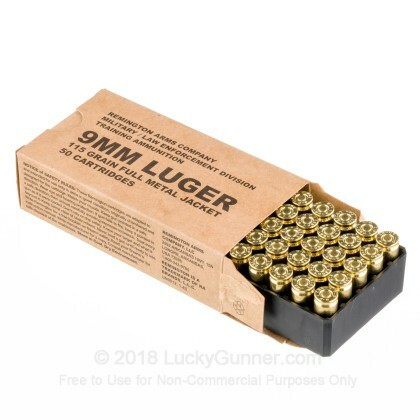 If you'd like to be the first to review this particular 9mm Luger (9x19) ammo from Remington, fill out the form below. We also have this 9mm - 115 Grain FMJ - Remington MIL / LE Contract Overrun - 500 Rounds ammo in stock in a bigger quantity.